Christian Mingle is one of the leading dating sites for Christian singles looking for a God-centered relationship. What sets Christian Mingle apart from other dating apps is our success in bringing singles together: our ability to make meaningful connections has made hundreds of thousands of relationships possible for over 15 years! Download the most successful Christian dating app today and start chatting with likeminded singles that share your beliefs. Online dating has never been easier - with thousands of Christians online, we can help you find that special someone in no time! 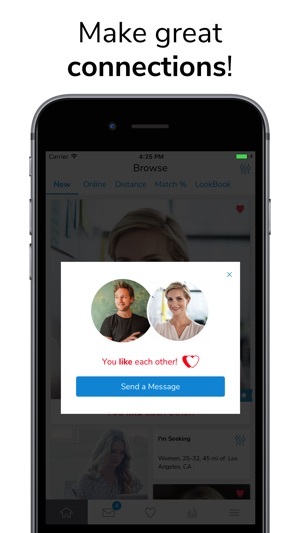 Not only is Christian Mingle one of the best free and well-known Christian dating apps on the market, but it also provides an easy-to-use communication tool to help Christian singles match and meet. Our user-friendly Christian Mingle app is here to help you anywhere, anytime. Download it today and find your Christian soulmate! 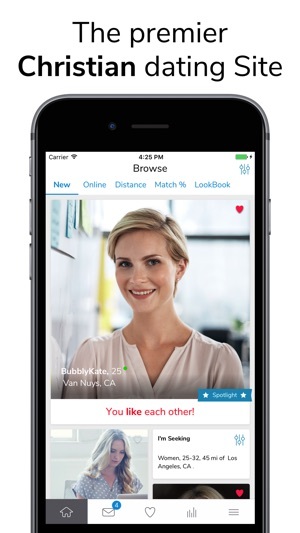 Our smart, intuitive Christian Mingle app makes it easier than ever to find Christian singles near you and jumpstart your dating life! Browse online users and meet other single Christian men and women based on your interests! Found someone who caught your eye? Send a quick “Smile” and find out if the interest is mutual! Use the app to upload photos from your phone or Facebook! Our all-new Activity feed offers improved alerts, activity and chat management, all in a simple interface. 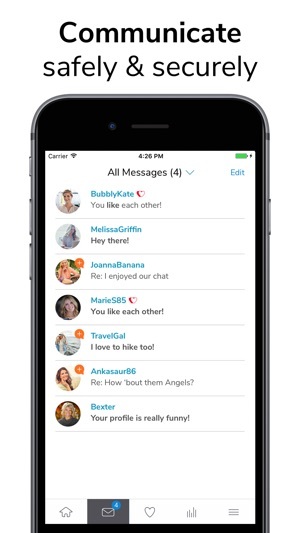 - Send and receive messages — Connect and communicate with other Christian singles. - Messaging+TM — Send messages that can be read and replied to by anyone on Christian Mingle. - Messaging+ Badge – Make your profile stand out for those who see it. - Enhanced Privacy Control — Browse anonymously, hide your status and your profile from searches. - Read Receipts — See if your messages were read. - Share Photos — Send other members photos of yourself. Download Christian Mingle and find your Christian soulmate today! Want to like it more, but can't. My first attempt at online dating. It drew me in because I wanted to find someone who followed Biblical beliefs like I do. However, the hype fell down quickly. The site will treat you great as long as you opt-in to automatically renew your subscription when the old expires. Otherwise you will see all the bugs and flaws it has. States in the app that you can move and scale your profile pictures.....you can't. Free accounts can't view the profiles of people who sent you messages. Just hope they showed up in the "Viewed You" section. Using the app? Well then get ready for lag unlike anything else. Sending "likes" and "smiles" will take a minute each to process. Hope your phone doesn't freeze and crash the app. "F-words" are a common site to see on people's profiles. The terms and service doesn't allow them, but the customer service agents that review the profile don't pay enough attention to care. Speaking of customer service: it's just mediocre at best. They can't really help you. One admitted to me that she didn't know the terms of service. She made up the rule on the spot. Had high hopes going in, but they faded quickly. At least I was able to get a couple of dates out of it. That's the only reason for the two stars. One for each date. Hi DManBand10! We regret to hear that you didn't enjoy your time with us! While each subscription is set to automatically renew, you as the member have the option to turn that feature off at any time during the life of the subscription. In reality, you can purchase the subscription and, upon successful purchase, turn off the renewal feature immediately. Our Customer Service agents would also be happy to assist with this, either through email, chat or by phone. The account settings are exactly the same for a member with the renewal feature turned off and a member with the renewal feature turned on. The only difference is that one member won't have a subscription renewal, and the other will. If you are having an issue with your photo not appearing as you'd like, we recommend using an on-line photo editor to size and crop your photo prior to submitting. The format for photos on the site is a square, so it's helpful to size your photo to a square prior to uploading. If you're experiencing a lag, please try uninstalling and reinstalling the app. We encourage our members to report any profile that they have a concern about, and we thoroughly review each report. To do so, tap on the (...) on the member's profile and select Report. You also have the option to block any member you aren't interested in. To do so, tap on the (...) on the member's profile and select Block. For additional assistance, please don't hesitate to contact us at support@christianmingle.com. Thank you! I wouldn’t necessarily blame the app/website as much as I would the people on the site. On other websites I had loads of success with men interested in me that I was actually quite attracted to, just didn’t work out because we had different beliefs. So, I tried Christian Mingle since I was looking for someone with the same beliefs as I did. 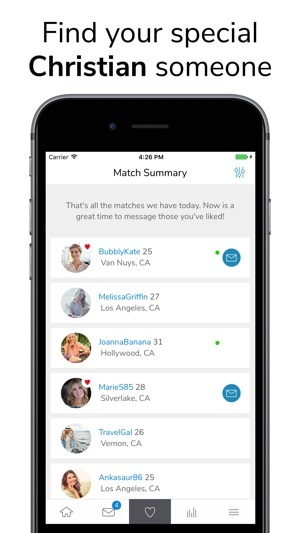 I don’t know if the men on this website are stuck up or they aren’t seeing my profile because I have liked 10+ people, have had the app for over a month, yet have no mutual likes yet. Even the men I matched with at 99% and liked will view me and that’s it. No response or likes from there. Wouldn’t recommend to people looking for something specific because you likely won’t get any responses from any people you’re interested in. Now for the website. The subscription is way over priced, definitely for people who make decent money, not college students. Without the subscription you cannot view messages unless the other person has a subscription. Honestly no point in being on this website unless you are willing to pay a lot of money for it. Have tried to give this website a chance since I am seriously looking for a relationship that is centered around Christ, but will most likely delete because of the lack of success I’ve found with this app. The best $35 I’ve ever spent is on a month membership. If I hadn’t done that, I wouldn’t have been able to message or respond to messages, and I wouldn’t have been able to talk to my boyfriend of a little over a year now! I will always and forever be grateful to ChristianMingle for connecting us. However, I do think that what you charge for membership is steep. $35 per month is outrageous! I can’t remember what it is for over packages, like 6 months and a year at a time, but I know it’s still high. Whereas other dating apps like Tinder charges something like $20 for a 6-month membership. Much more reasonable. You also should be able to have access to basic features like messaging matches without paying IMO. I also didn’t entirely like HOW I was matched to people in my area. I feel like no one came up in my area that fit into my filters or conditions at all. Of course, I ended up meeting and dating someone from a different state. Overall, though, I give this app 4/5 stars because of the issues I mentioned. Above all, I’m happy that I met my boyfriend!